Available in Yokohama Noh Theater Shop. 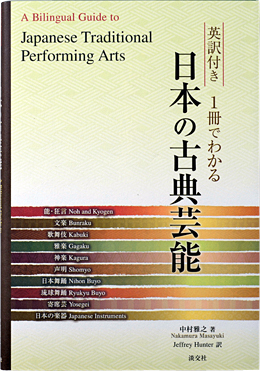 This book covers Japanese traditional performing arts extensively in Japanese and English. The richness and breadth of Japanese culture is seen through the traditional performing arts.